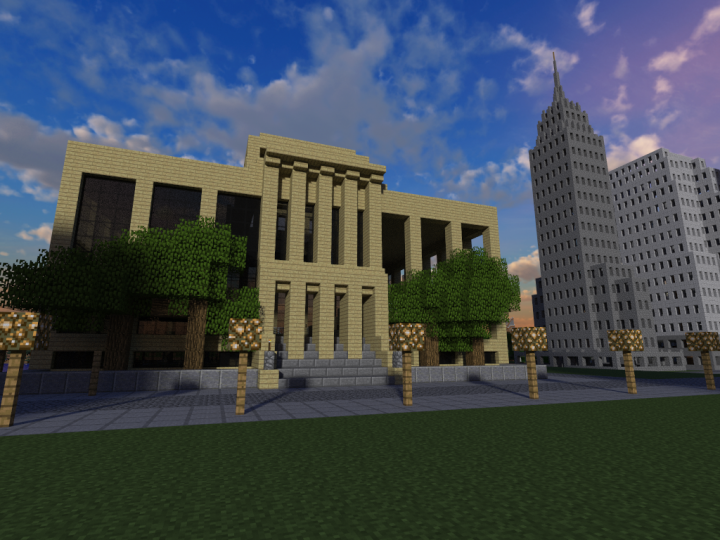 This is a proyect that i started with other idea, i was going to make a small city like a town. but several months ago I traveled to new york and when i saw the buildings and the architectural style i got impressed. 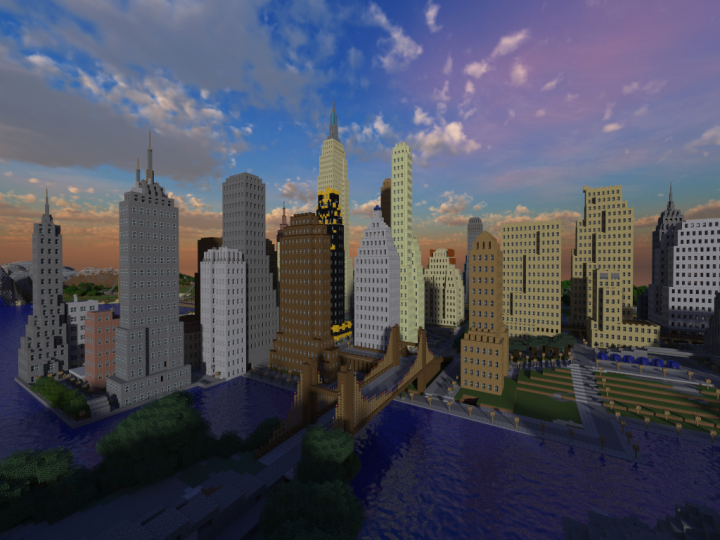 then i discovered the art decó style and realized that it could be a nice idea to build a city using only that style. [/url]it is awesome to see how much this changed!! fell free to download, it you like it please suscribe or comment if you have any suggestions. 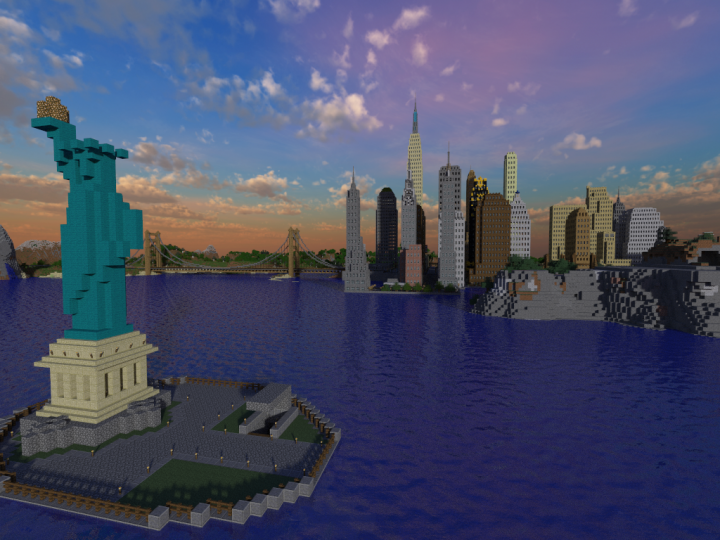 it's nice to see some more NYC-related stuff on PMC! Probably next week i'm going to update it, i've done lots of new things, i think you'll like it! Its amazing! I love this project man. Its inspirational. I hope u keep working on this project. If you want I would love to help. :D Of course i'll keep working on with this project!! 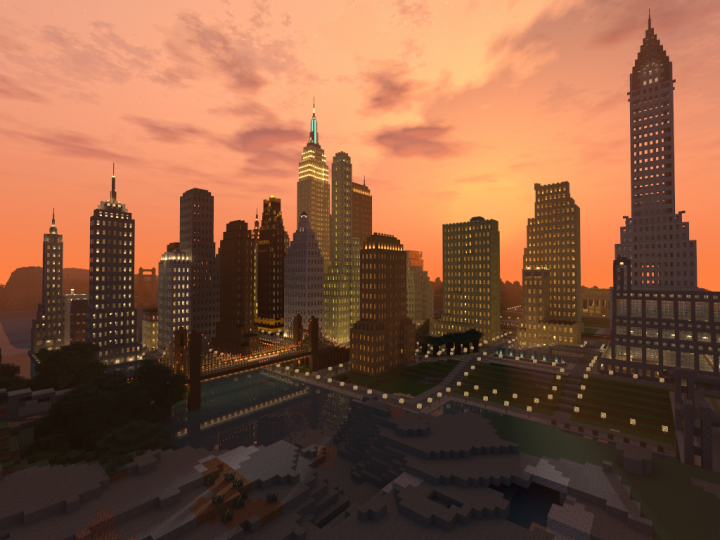 sorry, but I prefer making this alone, it is like a personal project of making my "perfect city" or something like that. now I'm on holydays, so I'll be able to update more often! 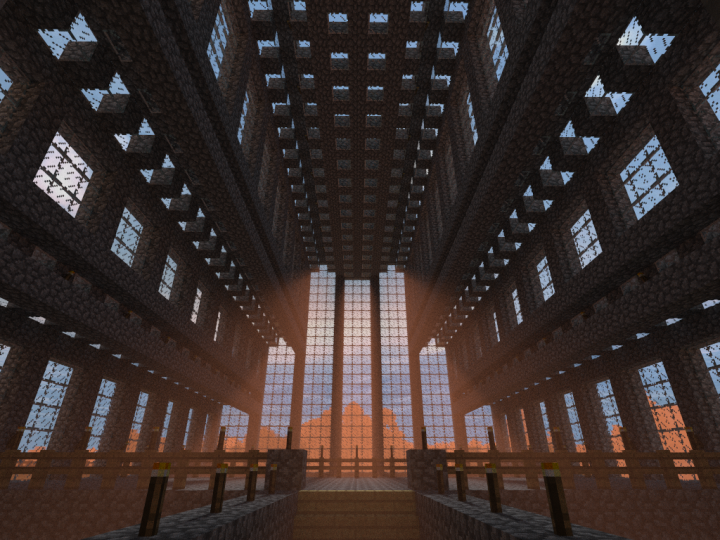 for example, yesterday I started 2 new buldings, and finished a new train station on the desert that is near my house. 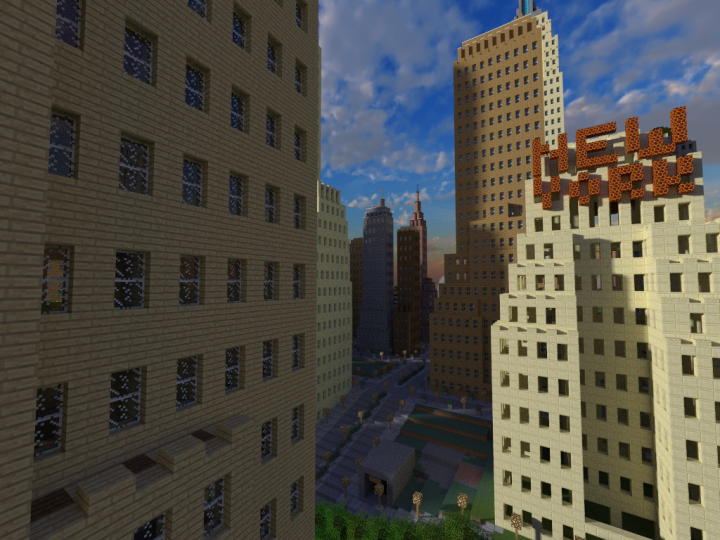 The idea is to make there something like "las vegas" but art deco, of course. What usually your update time??? I usually don't have too much free time to build, because of that i do not have a regular update time. 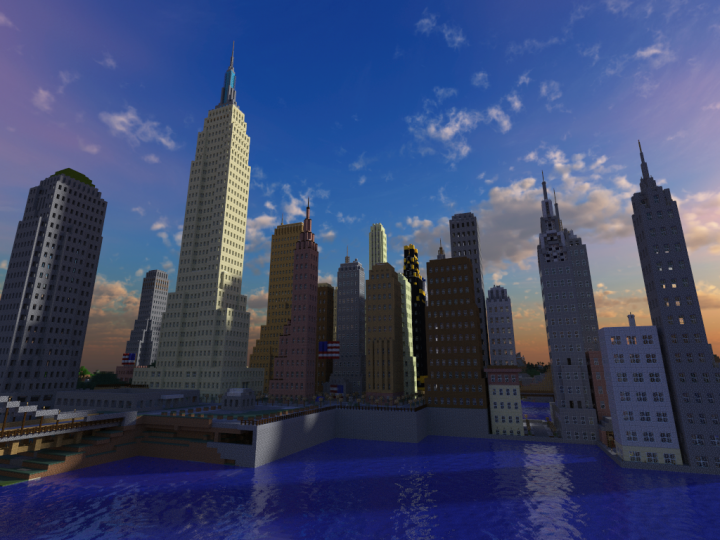 Now I'm working on the Columbia project, so the progress on this world will be stopped for a while. Gives me a sense of nostalgia from when all builds used to look like this. Good work, and very impressive! thank you Domomess! 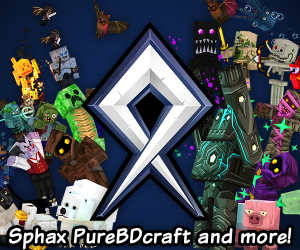 I`ve just seen your aperture science texture packs and they're awesome!! Just looking at the pictures, it looks amazing! Very interesting challenge you undertook, but the result is stunning. Great job! I look forward to seeing more of this! The fact that was all built in survival is just crazy. Great work! kudos as a survival builder, wish we saw more survival builds around here!